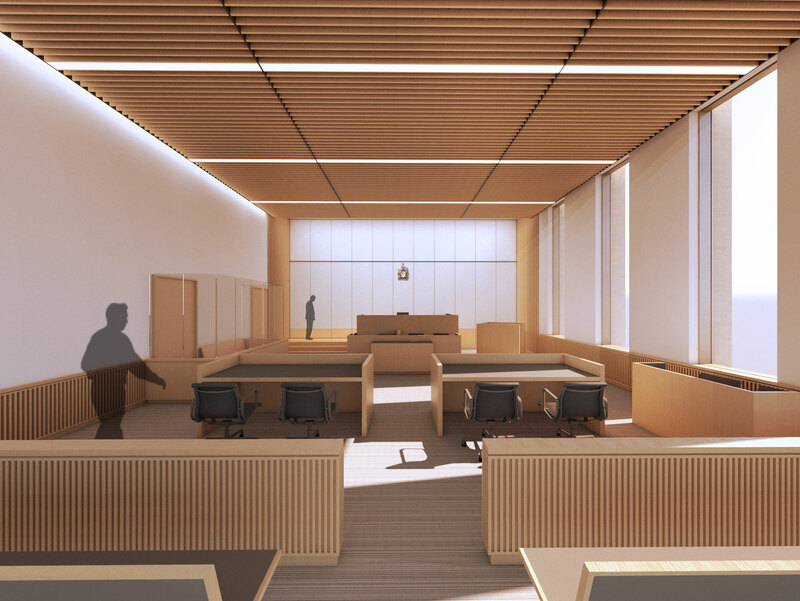 The Fredericton Courthouse is part of the larger Centennial Building Redevelopment project and will be the first purpose-built facility of its kind in the city since 1880. 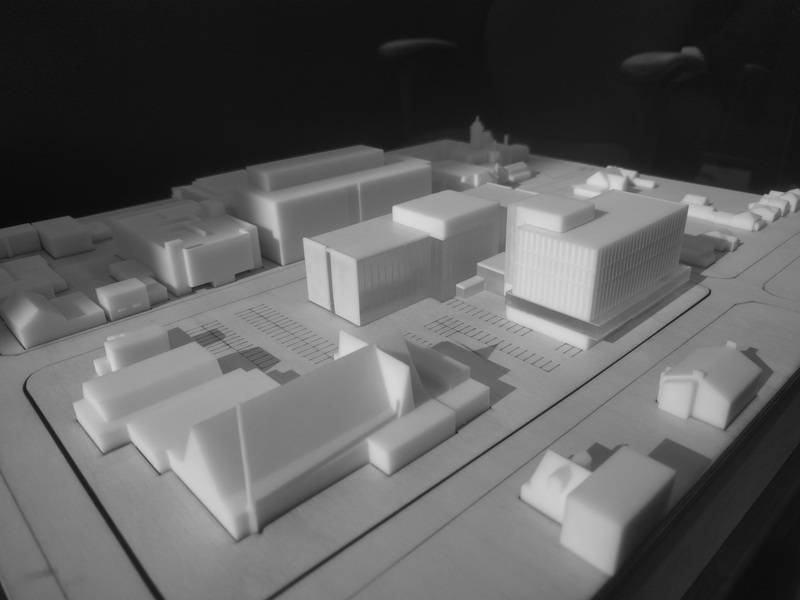 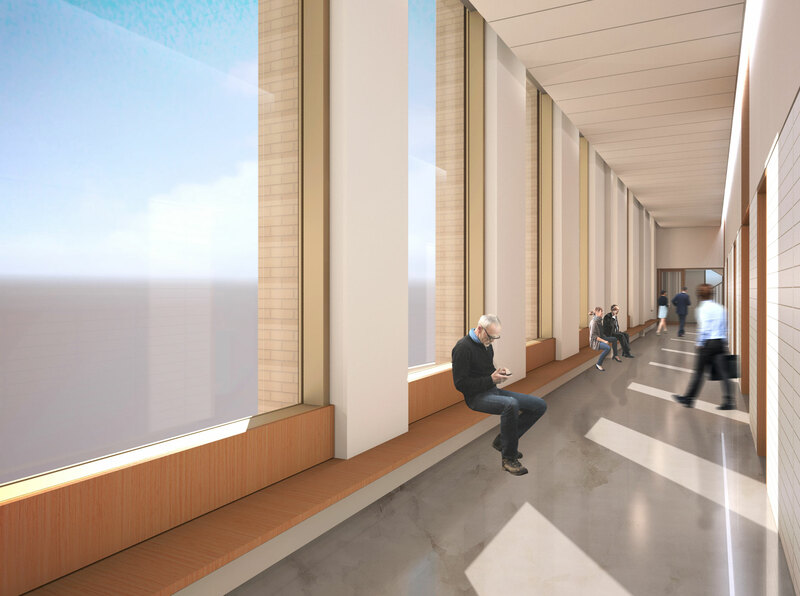 It will house the Provincial Court, the Court of Queen’s Bench and the Court of Appeal and form part of an important civic district that includes the Provincial Legislature and Beaverbrook Art Gallery. 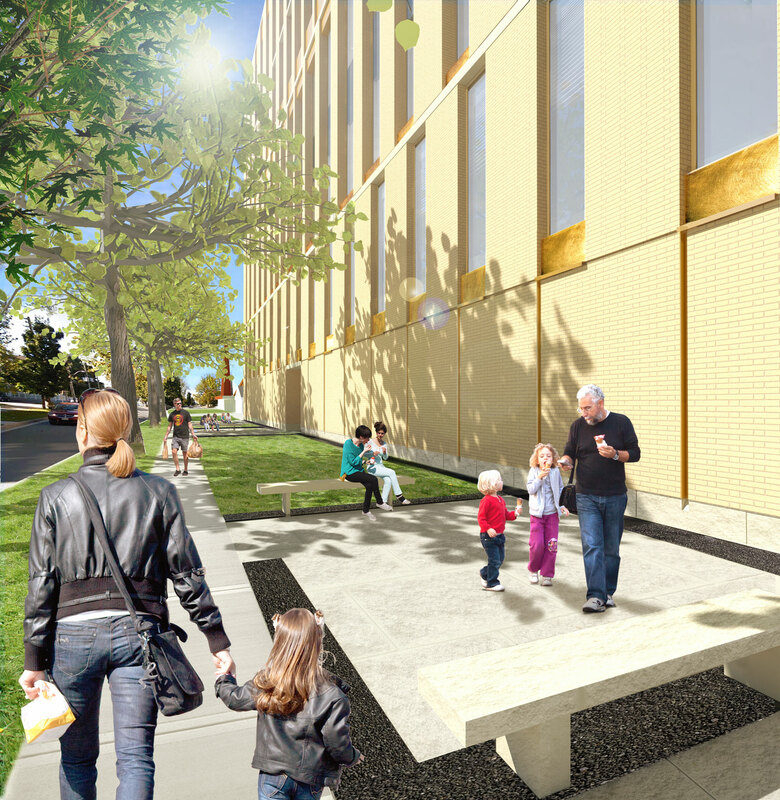 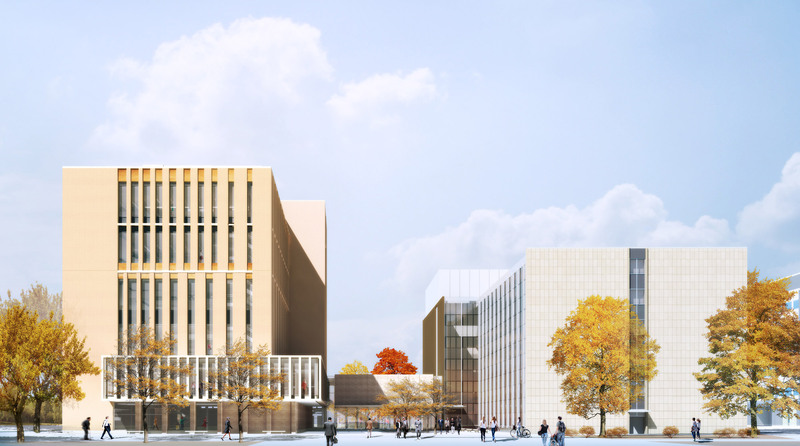 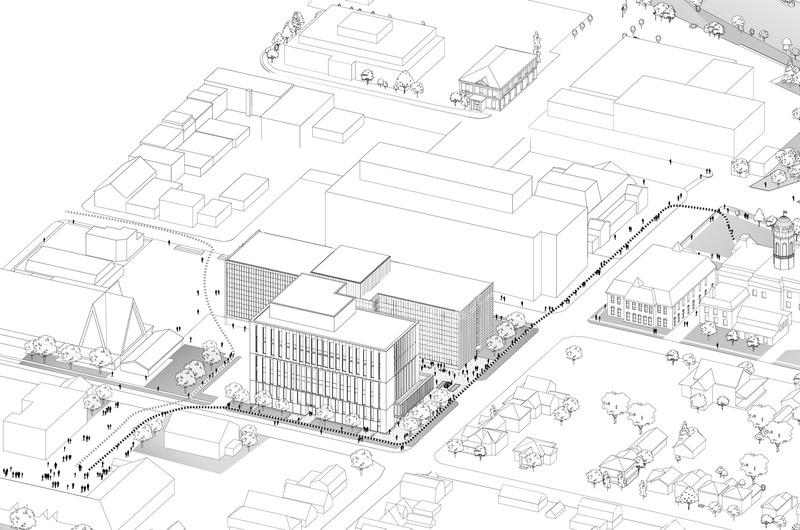 The six-storey courthouse will occupy the southeast portion of the Centennial site and connect to the newly renovated office building at grade via a new indoor link, landscape entrance court and drop-off loop. 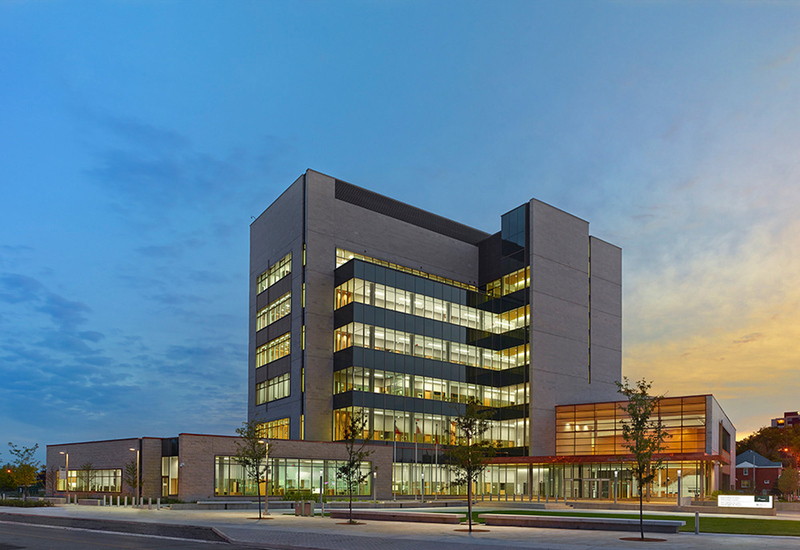 The setback between the addition and the existing structure is carefully contrived to provide the courthouse with a distinct identity, expression and street frontage while optimizing security features, site function and building synergies. 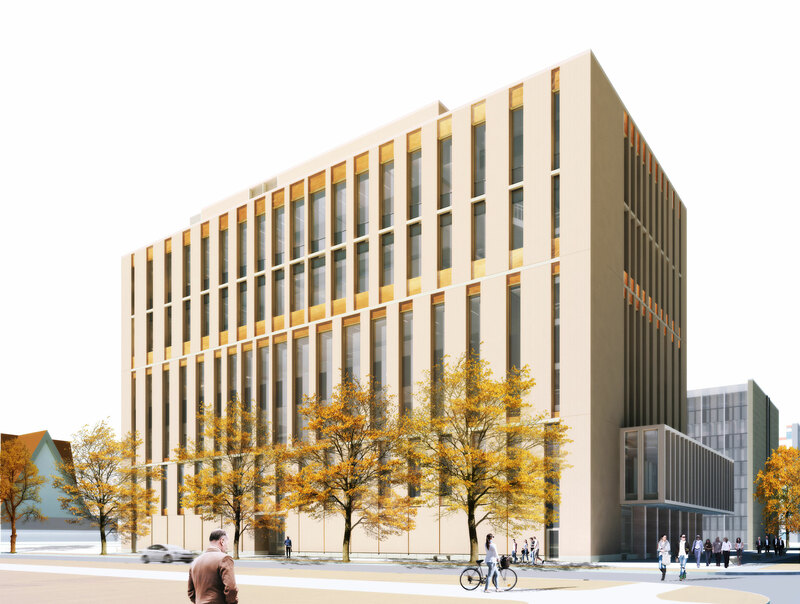 It also allows the courthouse to receive full exposure to daylight on all four elevations and on all floor levels with minimal impact on the amount of daylight received by the Centennial Building. 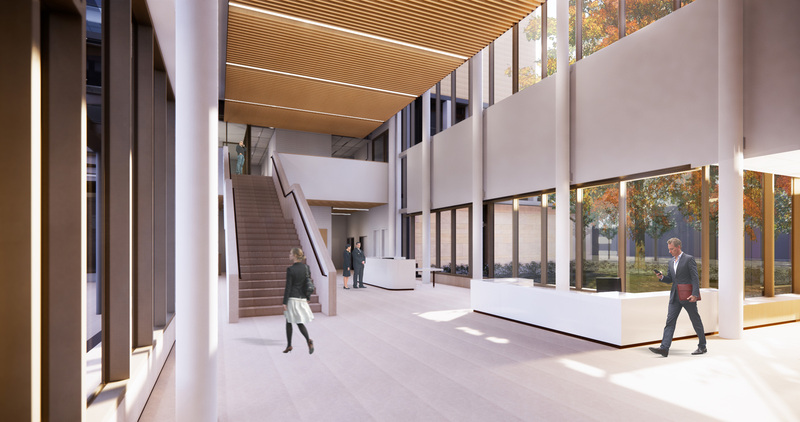 Unobstructed access to daylight is used as a primary organizing element on each of upper levels. 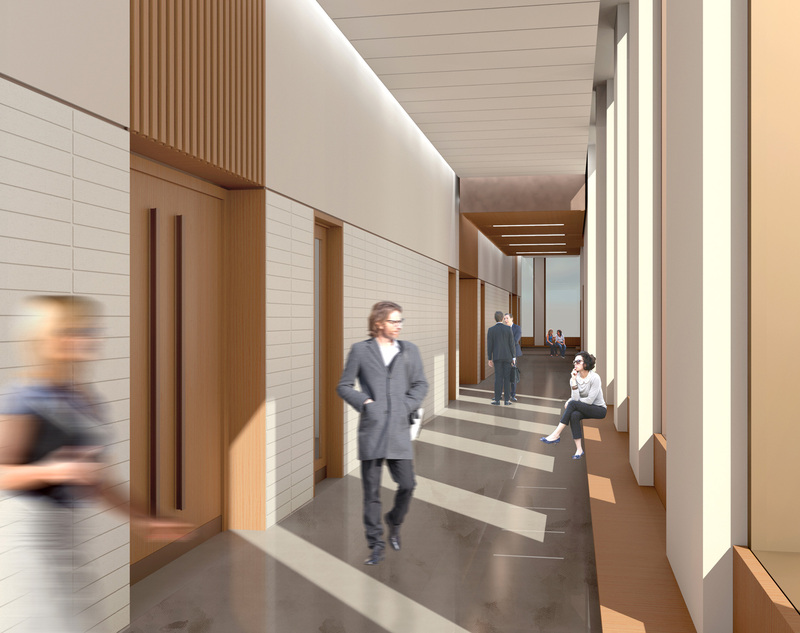 All primary program element – offices, courtrooms, public circulation, judicial chambers and accompanying lounge space – are strategically located along the perimeter to benefit from excellent daylighting and engaging views across the city and or out to St. John River. 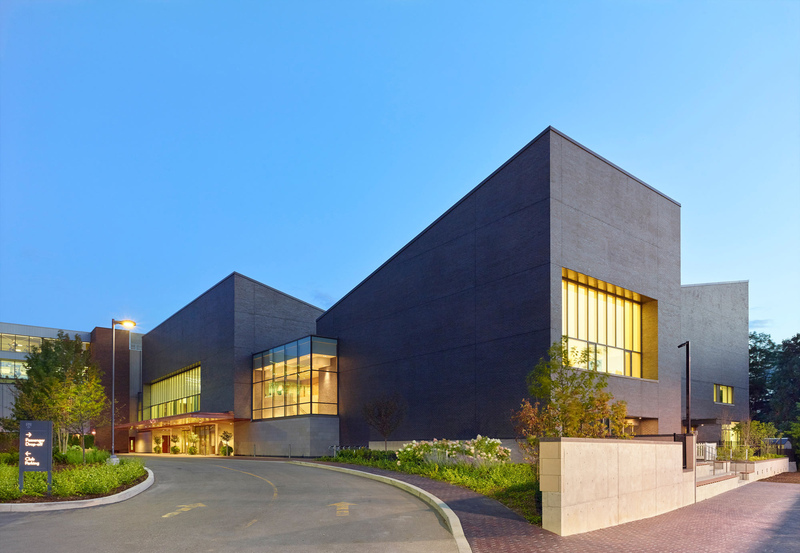 Applications of brick, stone and glass will create a durable, cost effective, high-performance envelope that is a suitably dignified, contemporary expression of local traditions and democracy. 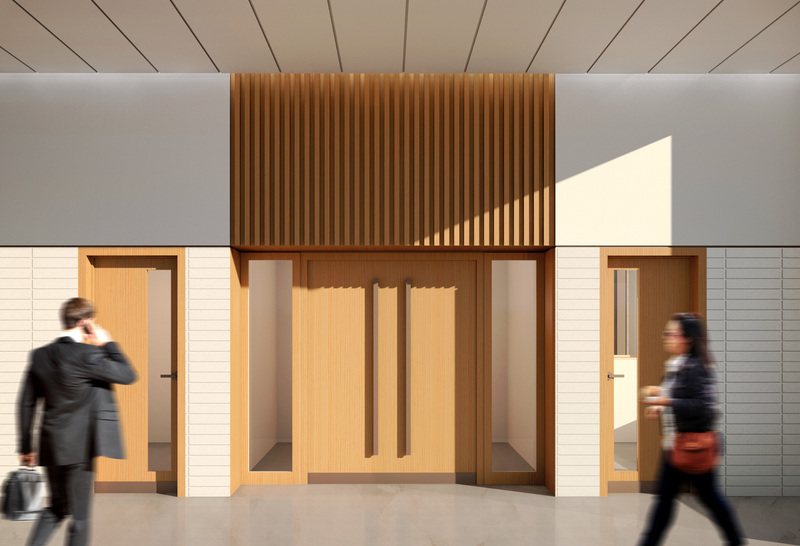 Inside, wood finishes will balance the need for a robust, high-traffic civic building with the flexibility and adaptability of an evolving judicial system. 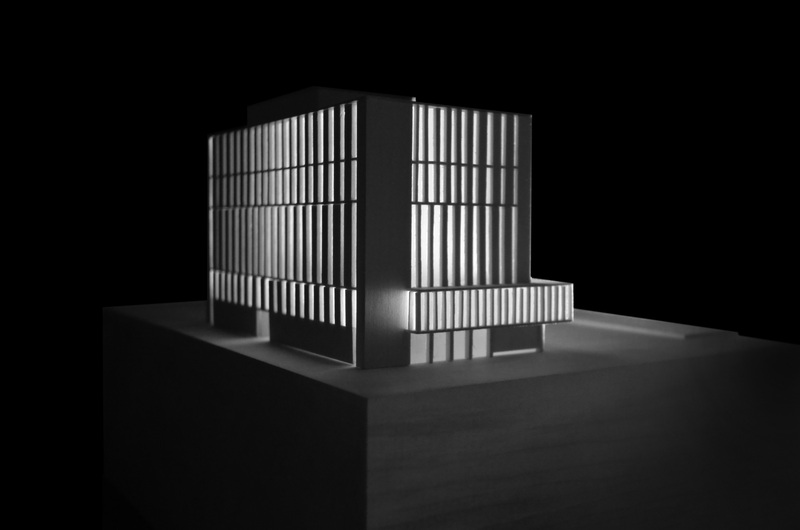 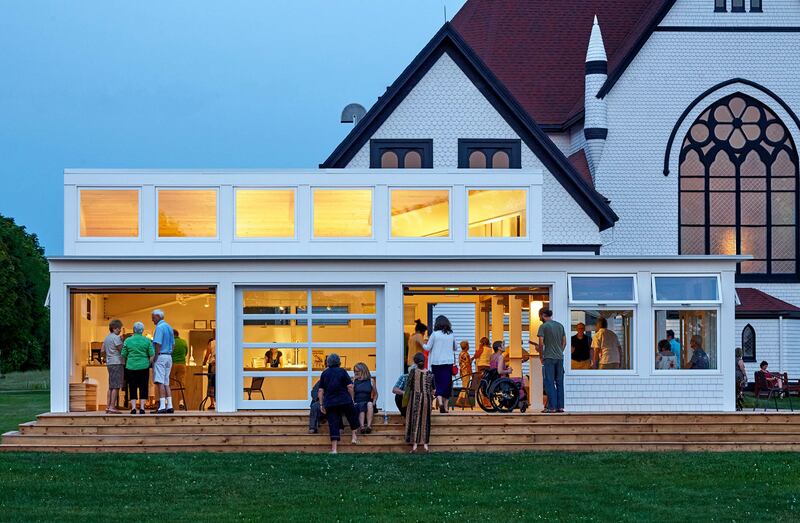 Montgomery Sisam in collaboration with Courthouse Design Expert, Julian Jaffary and local firm, Goguen Architecture.